A very strong show of support. 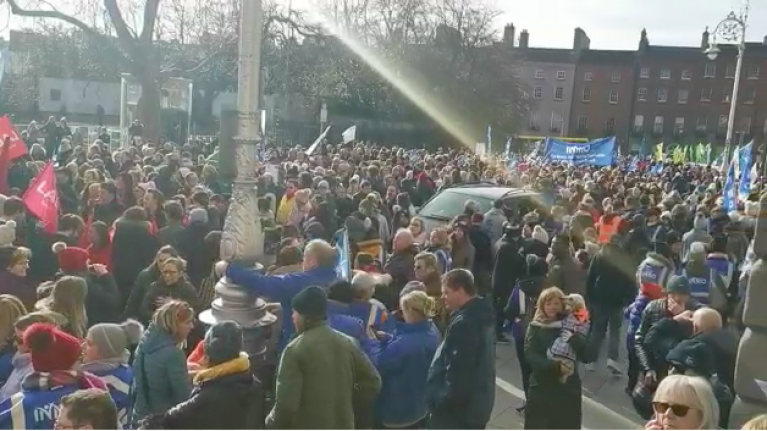 Two sources from An Garda Síochána have estimated that as many as 20,000 people have marched through Dublin today in support of the striking nurses and midwives. The nurses, who are striking in an effort to gain better pay and better working conditions, have already done three days of striking — with at least four more to come as the dispute wears on. Footage from today's march suggests that there is vast public support behind the movement. 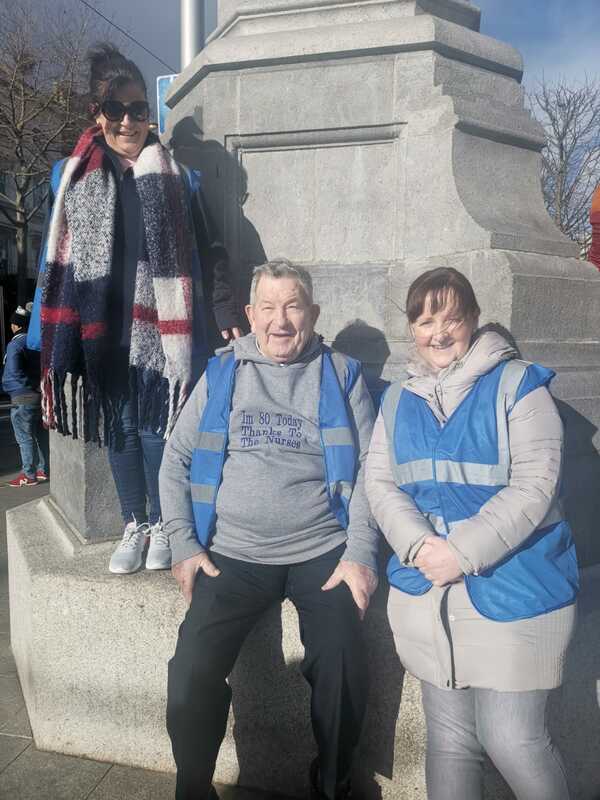 As things stand, the Irish Nurses and Midwives Organisation is preparing to strike on 12, 13 and 14 February. One man named Matthew O'Reilly proudly donned a hoodie bearing the slogan "I'm 80 today thanks to the nurses." 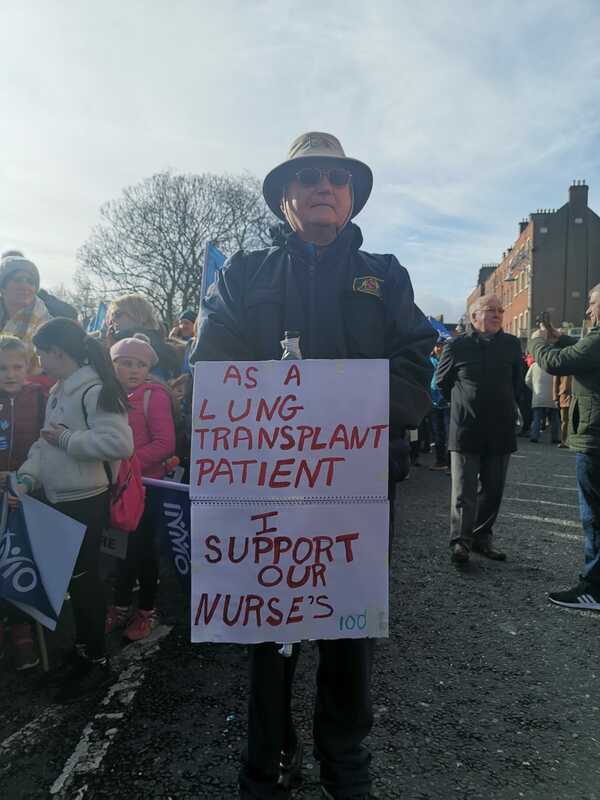 Other patients who had undergone serious procedures were out in full voice to support the nurses in their struggle for better conditions. A time-lapse video of the march shows it going all the way up O'Connell street and further beyond. 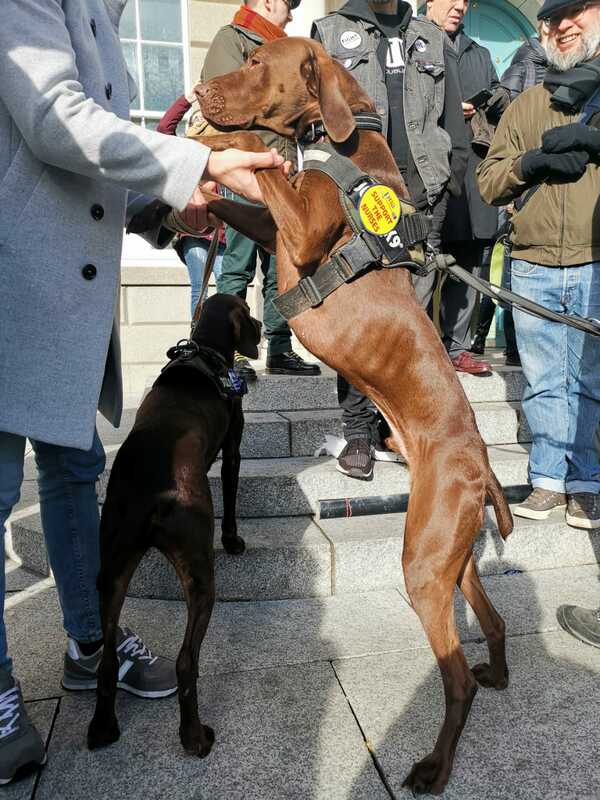 And perhaps best of all, support was offered by this very good boy who is taking the I Stand With Nurses hashtag very literally.